What systems have you seen? 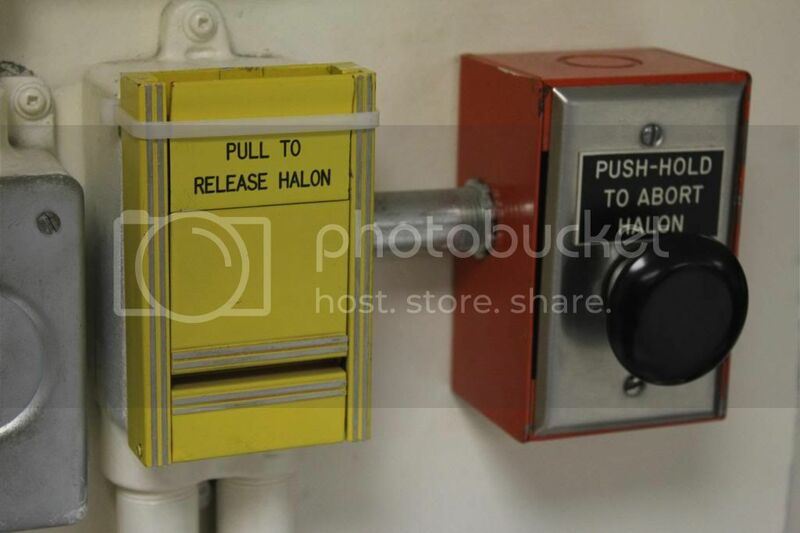 I own a complete and working Ansul Autopulse 2000 Halon system, minus the actual halon bottle of course . All the parts, devices, and even the wiring are original, and I have photos I took of it before it was removed. I saw a 1970s/1980s Ansul system that was connected to like 5000 sprinklers. 4004R is a panel i want. Also, can you use spell check? 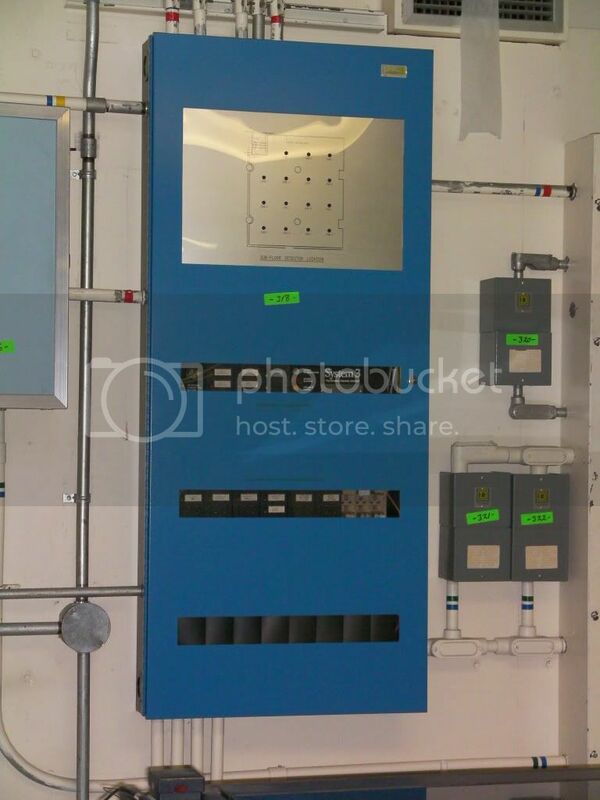 Here's a Fike SHP FM-200 release system in a vacant bank's CCTV datacenter. The system was still powered on and charged, but the tanks hadn't been inspected since 2011. The smoke detector in the middle of the room is a Hochiki model and trips the SHP, while the rest of the building had addressable Fire-Lite's. 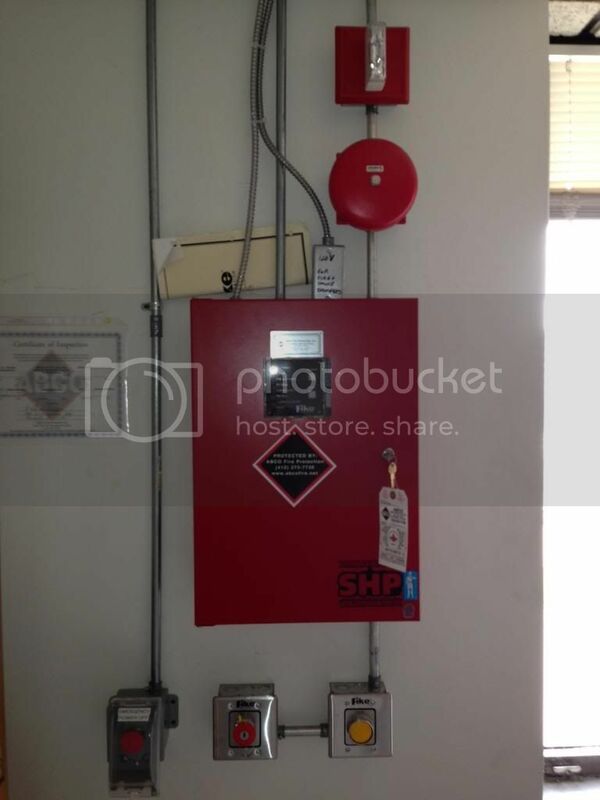 One of the SHP's relays appeared to trip a smoke control system. This part of the building is soon to be gutted and turned into a call center. I had permission to take stuff, so I grabbed a NOS SpectrAlert that was sitting on the panel (seen on the table in the last photo) and some computer equipment. Cool! Always nice to get free stuff! Firefly wrote: I guess for me it would be more like what haven't I seen. I was inspecting a Verizon data center once and they had a mix of systems, from wet pipe, to pre-action, and even water mist and FM-200. Firefly wrote: Its a type of sprinkler system. With sprinklers there are 4 main types of systems: wet, dry, pre-action, and deluge. Wet: Just as it sounds, the pipes are filled with water and water begins flowing as soon as a head is activated. Dry: The pipes are filled with compressed air. The air pressure keeps a valve closed and only allows water through when a head activates and the air pressure drops, opening the valve. Pre-action: Similar to a dry system, only a secondary device has to activate in addition to a sprinkler head, such as a smoke or heat detector. Deluge: All sprinkler heads are open, no fusible links or bulbs. Water is discharged through the system either manually or when some sort of detection is activated. All heads on system will discharge at once. Thanks!! So Deluge is like a CO2 or FM-200, just with water? This is an older Pyrotronics System 3 (CP-30) halon discharge system connected to a Mirtone pull station and a Simplex 4051 horn. It is installed in a former Cold War bunker's server room, but has probably been disconnected since this place was decommissioned in 1994. The graphic annunciator on the panel is for the room's sub-floor smoke detectors.